See the blog post about this contest here. Halloween is a great time to whip out the soldering iron to make some cool and frightening projects. We have featured tons of cool DIY Halloween projects over the years like the Halloween prop shown above, they are all inspirational! This season we want to see your creations. To enter you will need to post your project in the Hacked Gadgets Forum, if you don�t have an account you will need a password during the sign-up process, it�s joinhgforum. We needed to implement this to prevent the smart spammers that seem to be everywhere. * Make a Halloween project that has some electronic components, it doesn�t need to be anything complex, for example some red LED eyes on a ghost would be enough. 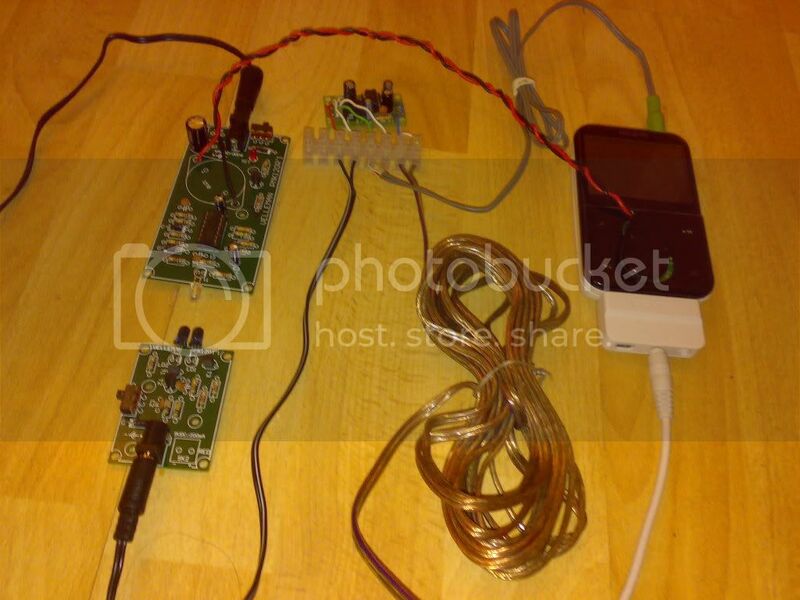 * Post at least one picture of the project in this thread on the Hacked Gadgets Forum. Additional pictures and a link to some video would be welcome though. * List the materials that were used and a short description of the project build. The description don�t need to be very detailed but more detail than the bare minimum is appreciated. * You can enter as many times as you want, place each new project in a seperate forum entry. You can only receive one of the loupe magnifiers though even if multiple projects are in the first 10 entries. * All projects need to be your own work. The Halloween project doesn�t need to be something that was made this year, you are welcome to post a project that you have built in the past. * Enter before November 11th, 2009. Note: The contest end date was accidentally listed as October 11th, it should have been listed as November 11th (after Halloween). It has been updated, sorry for any inconvenience this may have caused. The winner of the contest will get a cell phone jammer, this device should disable most cell phones in your direct area. If you win this device and it is illegal in your country please only use it for research. The winner will be selected by a vote based on all the valid entries. The first 10 entries will get a loupe magnifier which is great for building or repairing circuit boards. Suppose you want a light to mimic a flickering candle or guttering campfire. Further suppose that you aren't necessarily a soldering genius, and the idea of sampling oscillator phase noise to randomize your output makes your head asplode. Then how about a handful of blinking LEDs and a battery? 1) Attach 3-5 blinking LEDs to a DC power source. 2) Tuck inside a pumpkin, flower pot, or otherwise unoccupied cranial space (several congressmen's names come to mind). The ambient light level changes randomly -and sometimes wildly- based on which LEDs in the Blob are on at any given moment. They don't blink at exactly the same rate, so they quickly go out of phase in about a second. The light will flutter, flicker, almost die out, and roar brilliantly back to life. Unless you look directly at it. The Spookyfire effect is produced by the *reflected* light of the Blob, not the Blob itself. In other words, if you look directly at the Blob, you risk an epileptic seizure. It possibly resembles robot-sign. But if you place it in front of a tombstone and then block your view of the Blob (with a rock, some funeral flowers, a carp), its light will reflect off the tombstone in an eerie, random fashion. Stick one in a plastic skull, then add Halloween spider webs as a diffuser. Full instructions and lots of other haunt projects at SpookyBlue.com. Here's a project journal from last years project, a Bs2 STAMP controlled animatronic hidden in a column I made that is concealed by a pneumatic powered drop panel. I think the prop journal pretty much explains it all, and I included links at the end for more detailed pictures of the skull innards. The journal also has videos of the prop in motion. All credit due to haunt geek and talented guy, Halloween Bob, who came up with and popularized the skull design. It was a fun project, I hope you like it. This is a Hocus Pocus Spell Book replica from the movie. It has a remote eye lid and eye ball. Here is a link to the video of my book. Many a haunted house uses a dot room (flourescent dots illuminated by black light) to scare the wits out of patrons with a camoflaughed actor in the same pattern outfit. I felt that dots were not scary enough and constant illumination was not disorienting enough. I used flashing LED kits and wired up 3 banks of 8 UV LEDs to all flash together. Using a template of skulls, I sprayed flourescent spraypaint on black sheets for the walls of the dot room. I had actors in similar black outfits with the same skull pattern able to be invisible (with hands behind your back) and jump out and scare TOTs with white glowing hands that really seemed to be detached. Lots of fun scaring people. This is a project that i did for last years Halloween, but i ended up using it for office pranks and other tricks too. The DC output (to buzzer) from the infra red detector was connected to the mp3 players random / play button through a resistor (so it doesn't blow the mp3 player). So when the beam is broken, it will trigger the mp3 player to play some spooky sounds from its library. The headphone output was connected to a small 5w amplifier and then to a speaker. It's been years since I visited the HG website. Good thing I still have time to enter the contest. I started a project last year but didn't finish it. Halloween isn't celebrated that much in Belgium, Europe.. Anyway I will try to finish it before the end. Must be doable. This post will be edited.. And no, not fishing for that loupe. Can't wait to see it Mikey. I'm not sure about the coolest, but I'm probably going to have one of the most economical projects. Sounds good. I look forward to seeing your creation. I completely missed reading the deadline Oh well, I'm gonna get my kicks out of scaring the kids anyway. Can't believe I made that mistake. The end of the contest should have been listed as November. Sorry about that, I will change the details and make a comment about it.